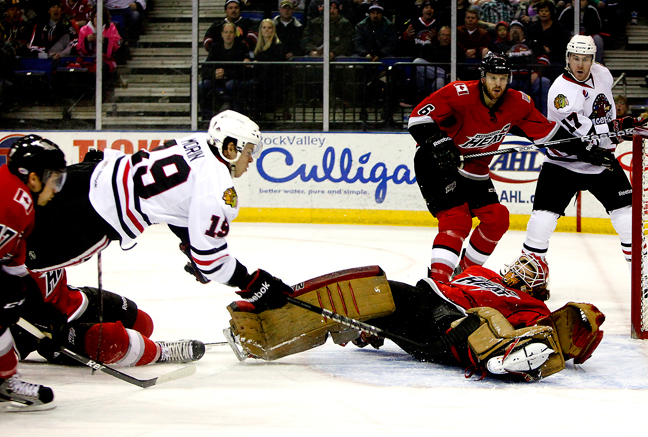 Rockford, Ill.- After a hot end to the month of February, the Rockford IceHogs hope to carry the momentum over to March beginning with a pair of home games this weekend at the BMO Harris Bank Center. 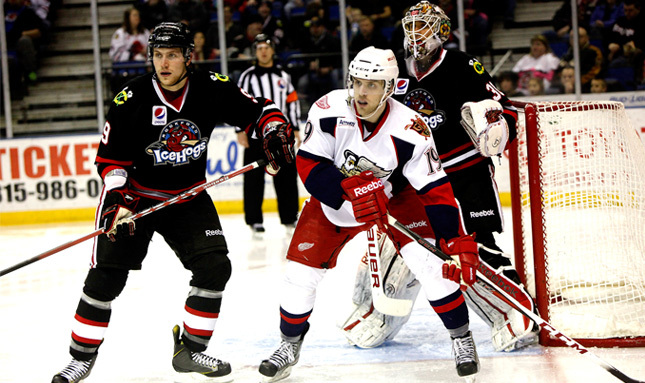 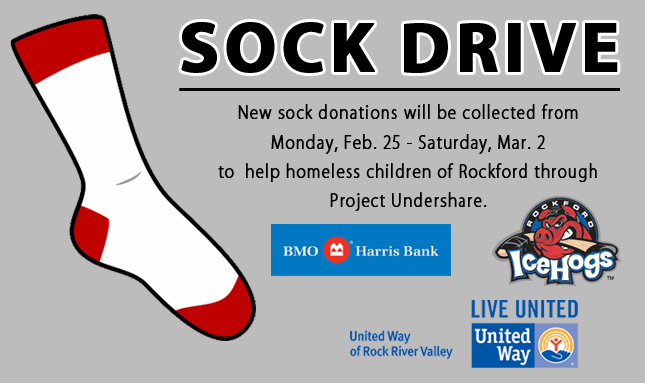 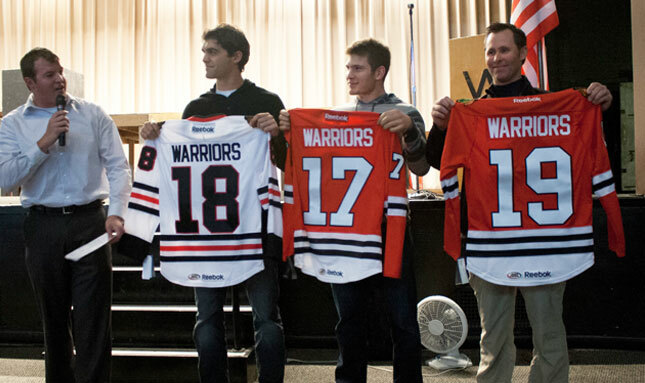 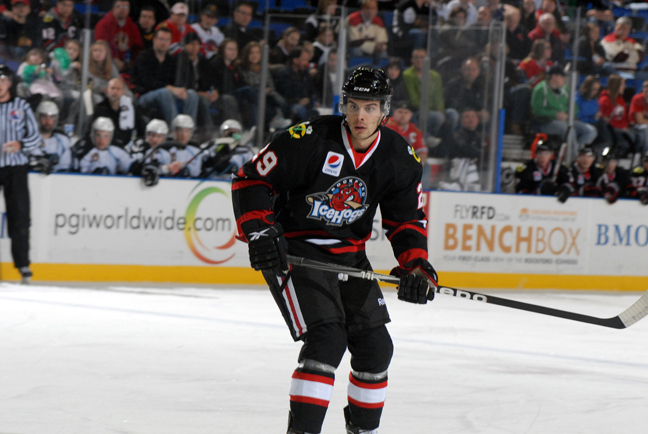 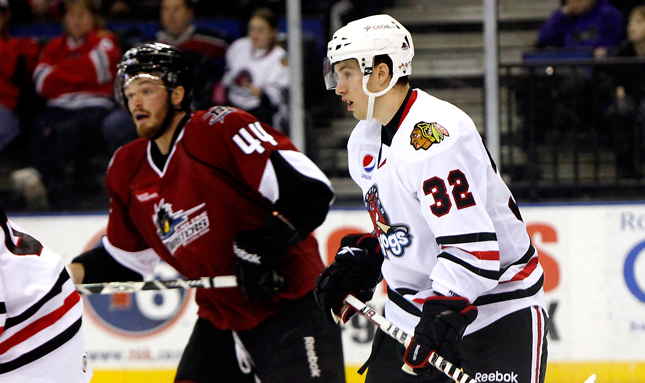 Rockford, Ill.- BMO Harris Bank and the Rockford IceHogs are teaming up for a sock drive. 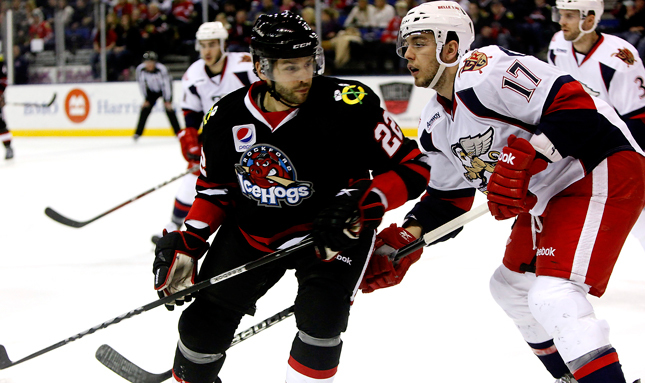 Rosemont, Ill.- A suddenly streaking Rockford IceHogs slipped by the Chicago Wolves 2-1 on Sunday afternoon at the Allstate Arena. 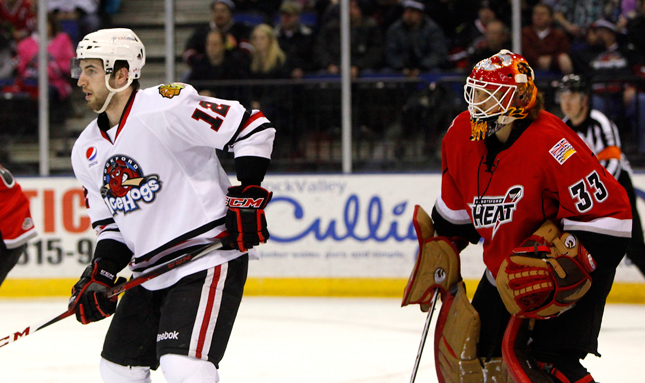 Rockford, Ill. - Goaltender Henrik Karlsson rejoins Rockford, while Kent Simpson is sent to Toledo. 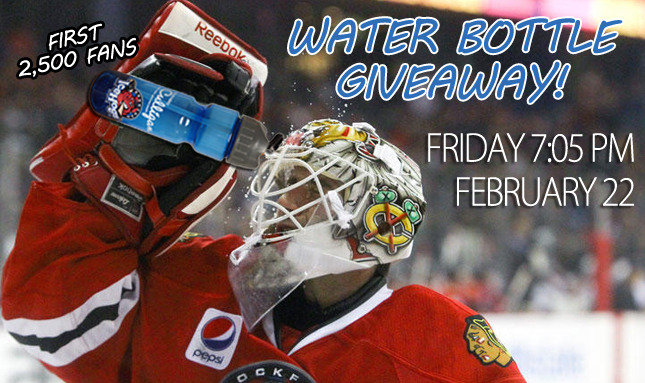 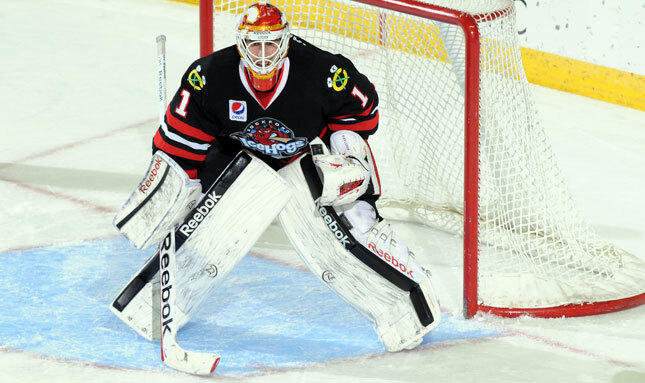 Peoria, Ill.- Another solid goaltending performance from Carter Hutton led the Rockford IceHogs to a 4-0 win over the Peoria Rivermen on Wednesday night at Carver Arena. 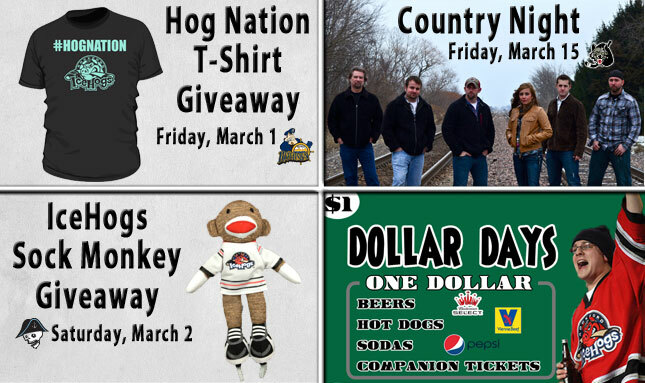 BLOG HOGS: HOPE FOR THE HOGS? 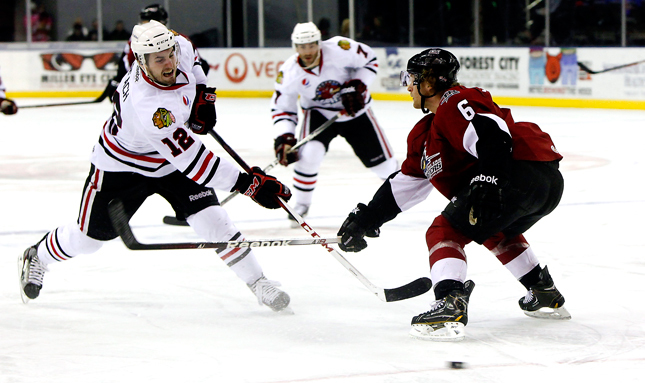 After dropping a tilt downstate to their Midwest Division rivals on Wednesday, the Rockford IceHogs bounced back during the weekend with a pair of critical victories at the BMO Harris Bank Center during Week 19. 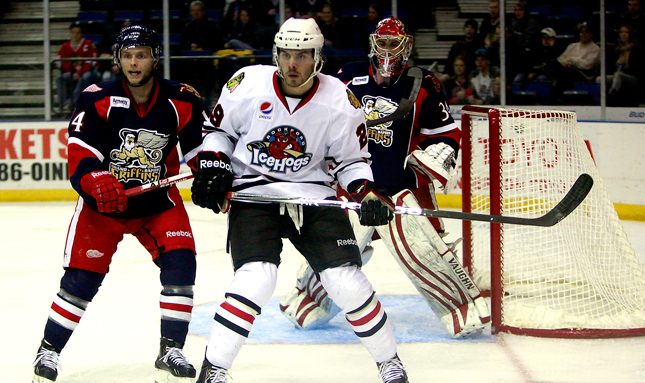 Rockford, Ill.- The IceHogs offense exploded to beat the Abbotsford Heat 7-2 on Saturday night at the BMO Harris Bank Center. 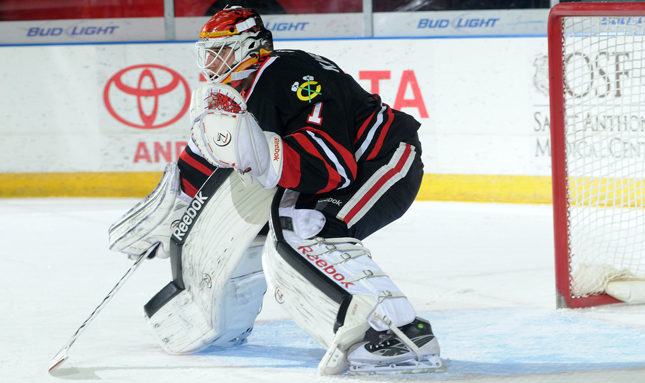 Goaltender Henrik Karlsson is recalled to Chicago, while forward David Gilbert, defenseman Kevin Quick and goaltender Kent Simpson are added to Rockford's roster. 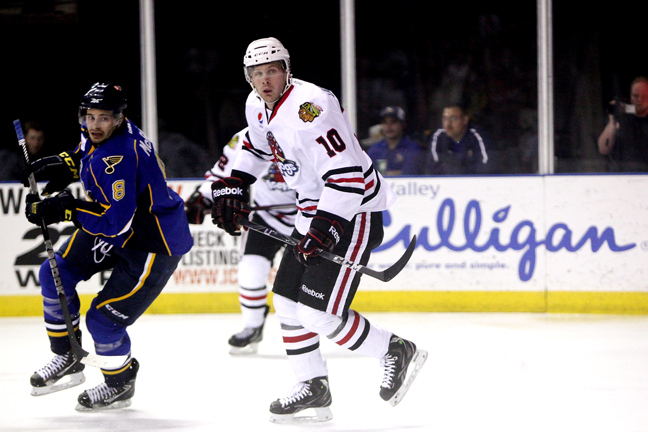 Peoria, Ill.- Things happened quickly on Wednesday night in Peoria, including goals, lead changes and penalty shots. 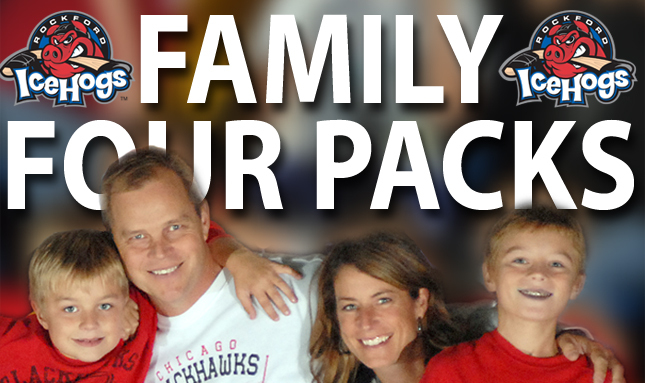 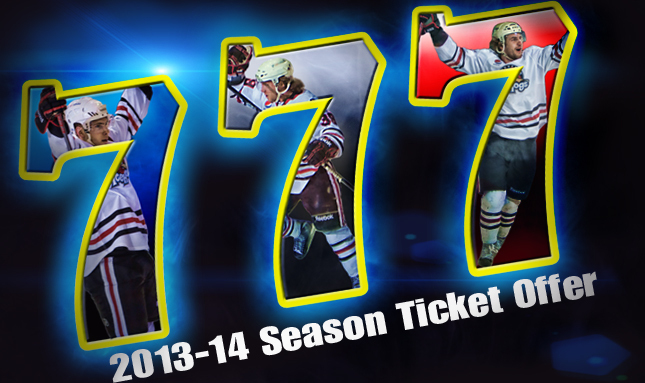 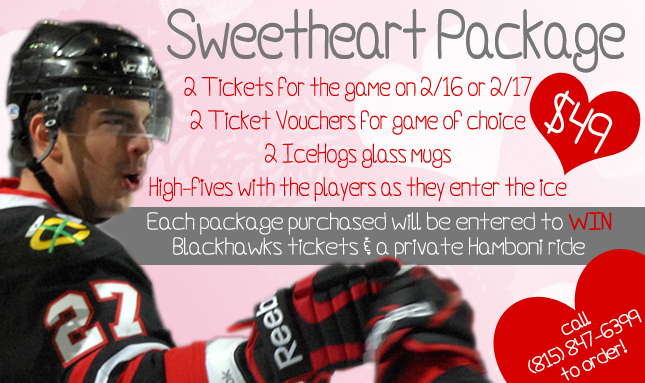 For all those that have always dreamed of being a Rockford IceHogs season ticket holder, it’s your lucky day! 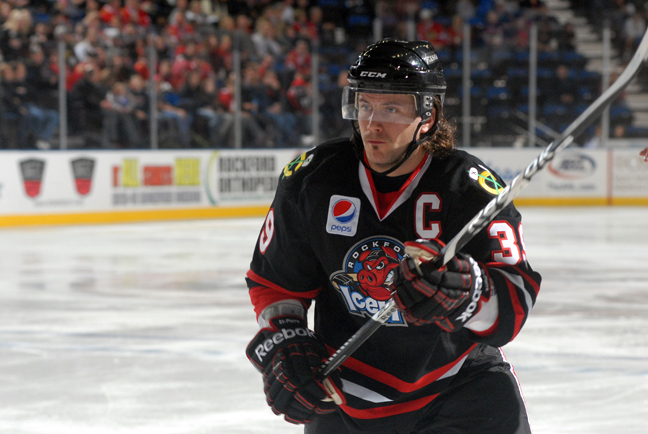 IceHogs.com recaps all of the Week 18 highlights plus this week's interviews on Bud Light Hog Talk. 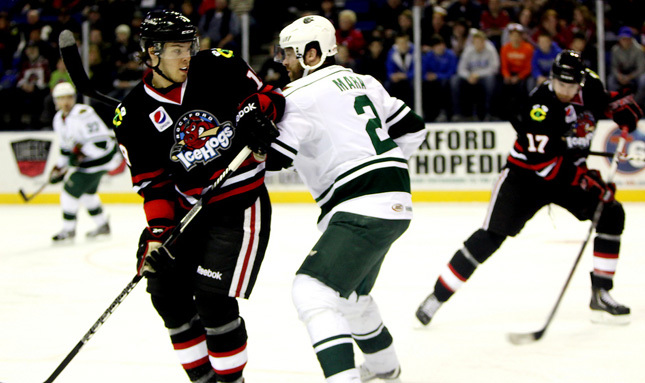 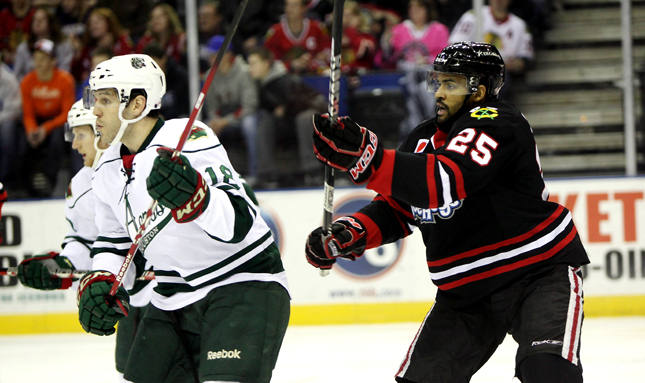 Rockford held off of score sheet, fall to Aeros 2-0 in front of 5,146 at the BMO Harris Bank Center. 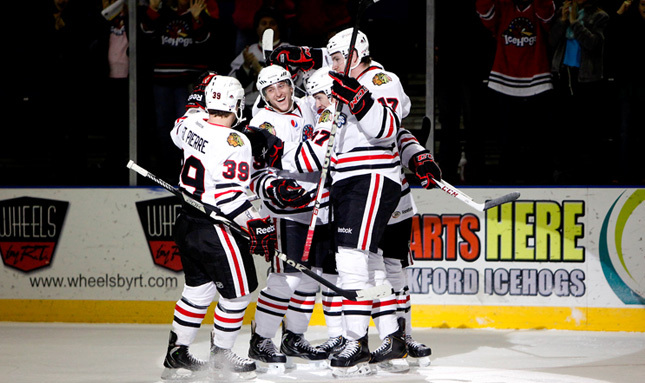 Peoria, Ill.- Fortunes can change pretty quick in hockey and the Rockford IceHogs are returning home with a winning streak. 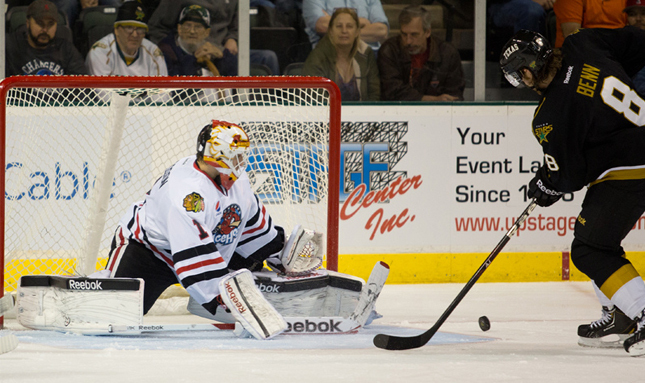 Cedar Park, Tex.- Three games this season between the Rockford IceHogs and Texas Stars so far and in all three, the home team has lost a three-goal lead. 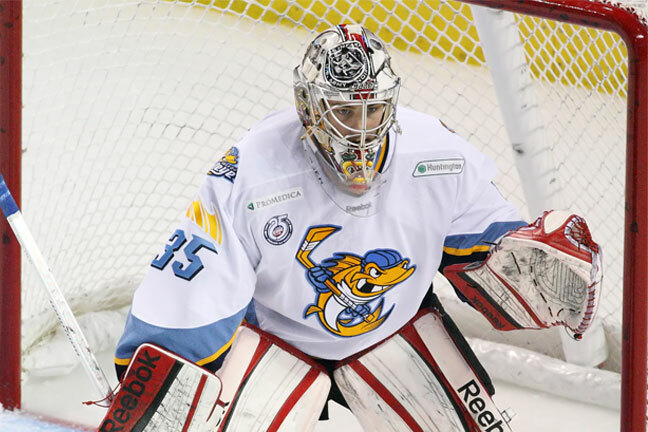 Toledo, Ohio- Kent Simpson is the Reebok Hockey ECHL Goaltender of the Week for Jan. 28-Feb. 3. 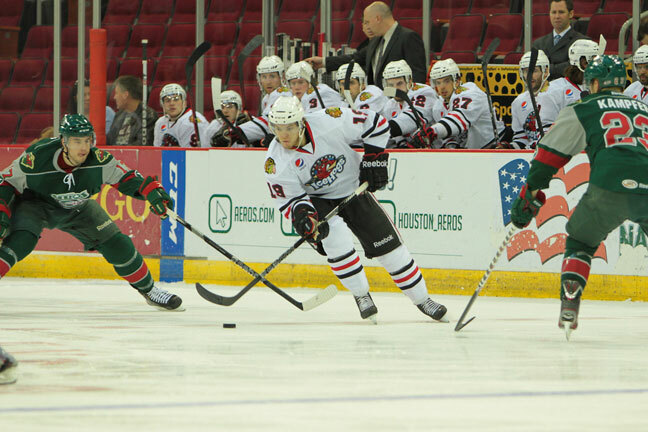 Houston, Tex.- A franchise record losing streak grew longer on Sunday for the Rockford IceHogs as they failed to hold a third period lead in a 3-2 defeat to the Houston Aeros at the Toyota Center. 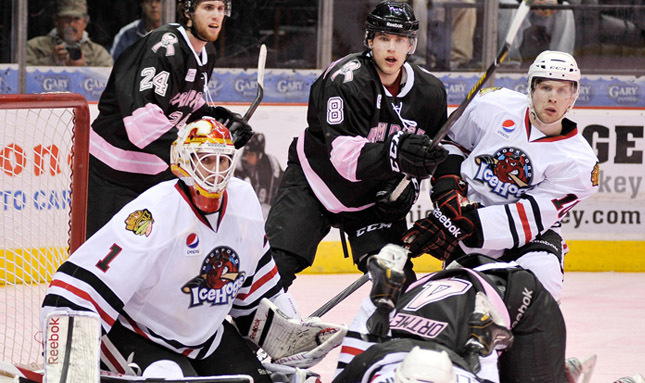 San Antonio, Tex.- A pair of 6-foot, 6-inch Swedish goalies dueled on pink ice in San Antonio on Friday night and unfortunately for the Rockford IceHogs, the only blemish on the score sheet showed up on their side.